WWE is full of some of the top Superstars from all around the world. They have had some of the best matches all around the world before coming to WWE. Other top WWE Superstars are products of the company itself. Often, due to the success these Superstars have experienced, there are clashes of egos between the Superstars and WWE's management, due to them not following specific instructions. This has led to several superstars being confronted by the WWE Chairman Backstage himself, or at least a member of the WWE Management. While some of these WWE Superstars were able to get away with just a warning, others had to pay for their mistake. Whatever be the case, Vince McMahon or some other WWE authority set them straight with a confrontation backstage. 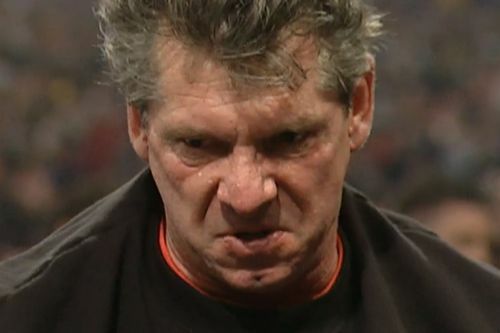 In this article, we will see 5 times when WWE Superstars were punished by Vince McMahon or by WWE management for breaking WWE rules. Big Cass is one of the latest Superstars to have suffered the wrath of Mr. McMahon and the WWE management. Big Cass had just returned from a bad injury and it seemed that WWE was about to continue with his big heel push. He was put into a rivalry program with Daniel Bryan, who had just returned from retirement himself. In one segment, Big Cass was mocking Bryan by attacking a man dressed up as Daniel Bryan in the ring. In the segment, he was simply supposed to knock him down with the Big Boot, but that was not all he did. Despite being told not to backstage, Big Cass attacked the man after knocking him down with a ground and pound. Backstage, McMahon and other members of WWE management did not take well do this blatant disregard of instructions. He was booked poorly and beaten by Bryan multiple times, before being fired from the company altogether.